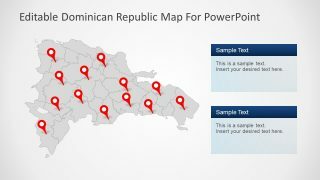 The Dominican Republic PowerPoint Map is a high-quality editable country geographical presentation template. 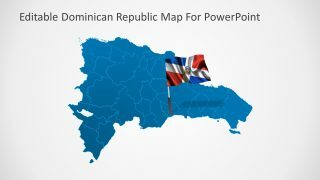 It contains a political outline representation of the Dominican Republic map.The Dominican Republic is a Caribbean nation known for its beautiful beaches and resorts. Moreover, It is one of the top tourist destinations in America. 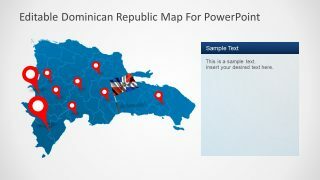 The PowerPoint has 9 slides with multiple versions of the Dominican Republic geographical map. 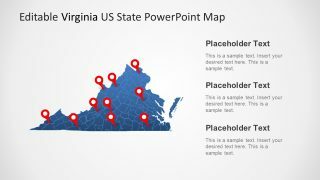 Each map has independent states as PowerPoint objects constructed together. 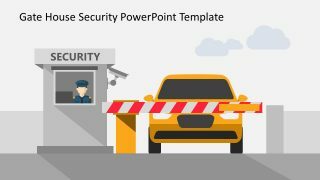 However, the users can use these separate shapes and create more slides. 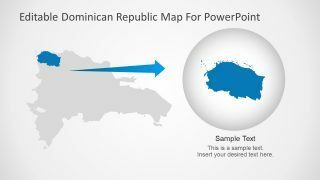 The presentation consists of country location pointers, flag image and circular icon of its flag. 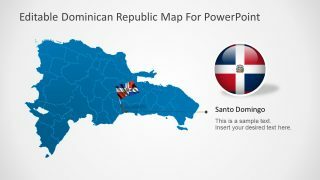 It also contains an enlarging view of a state and “Santo Domingo”, the capital city of Dominican Republic. 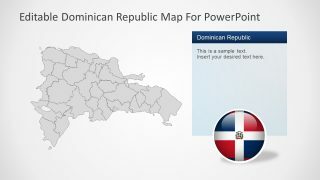 The educational, tourism and business professionals can use this Dominican Republic PowerPoint Map template for numerous purposes. For the business experts, this PowerPoint can help show commercial opportunities, sales territories, office locations and more about business plans. It can also serve the educational purpose by providing geographical and cultural information of the country. 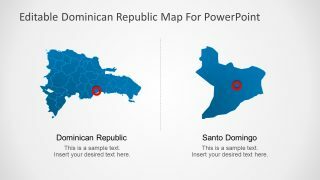 These maps in PowerPoint shapes design by professionals with ability to format shape size, rotation, colors and boarders. 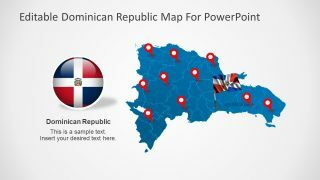 With very few editing and textual content, users can promote their ideas about Dominican Republic. 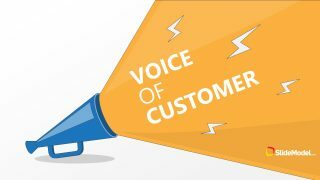 Also, receive admiration of their audience using interactive visuals. 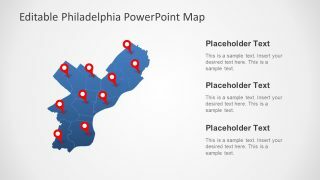 SlideModel has professionally designed a vector PowerPoint maps gallery. Each presentation contains country flags, geographical location icons and maps of respective capital/state/provinces.